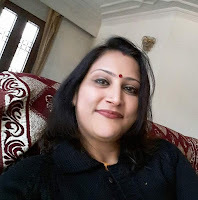 Neetu Vaid Sharma is a passionate love poet and author of international repute. Her five solo poetry books published in the USA include-PASSIONATE PLEASURE PEARLS, I AM PENNED DOWN, QUEEN’S QUIET PASSIONQUAKE (A collection of Oozing Odes and Slicing Sonnets), AMOROUS INTIMACIES ITCHING ALL OVER and BE YOU. Neetu has won a Bronze Award for her story “My Mysterious Morning Buddies” and for her poem “Only Oasis.” Her poems are also published in multiple anthologies chiefly naming: United Global Sisterhood, Tried, Tested and True poets from Across the Globe, Within and Beyond Shores (Volume iii) , Heart to Heart- A Bouquet of Valentine’s Day Love Poems, Petals of Love- An Anthology of Poems and The Skinny On Eating Fresh (Anthology of Recipes). May their bond grow firm and almost unshakable!